Privatisation has been driven by the goal of efficiency but this goal is really little more than rhetoric promoted by advocates of privatisation. The public sector has been broadly characterised by corporate-funded think tanks and neoliberal economists as “bloated and inefficient”. Publicly-owned and state-regulated electricity monopolies were claimed to be so wasteful and inefficient that private companies competing in a free market could save enough money to both cut prices and make a profit. Reference: Quoted in David Hall and Emmanuele Lobina, 'Water Privatisation', London, Public Services International Research Unit (PSIRU), April 2008, p. 24. A 2005 World Bank paper found that "in general, there is no statistically significant difference between the efficiency performance of public and private operators in this sector…. For utilities, it seems that in general ownership often does not matter as much as sometimes argued. Most cross-country papers on utilities find no statistically significant difference in efficiency scores between public and private providers". However, the stated goal of economic efficiency was a cover for other more political and ideological goals. One such goal was to lower service costs to business by subordinating social objectives, including equity and environmental goals, to economic objectives. For many corporations, ‘economic efficiency’ is actually a euphemism for keeping costs low by removing non-commercial goals from public services. The shifting of costs to taxpayers is called making non-commercial expenditure ‘transparent’. 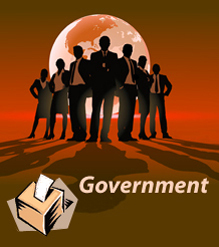 Government enterprises can be made more "efficient" if their objectives are narrowed down to commercial ones. This is what happens when government enterprises are prepared for privatisation. Workforces are drastically downsized and costs cut so that the organisations will be attractive to purchasers. Private companies, freed from social obligations such as universal access, equity and reliable service to remote individuals, are able to cut costs by concentrating on more profitable services. They can compete for more lucrative customers by reducing unit costs for big users. In this way cross-subsidies are not eliminated but shifted from disadvantaged individuals to big business. The cost of the social obligations, if they are still met, is borne by taxpayers and shareholders and large businesses reap the savings. The supposed efficiency gains to be made by private, competitive companies, have too often been made through short term cost savings, which included cutting the quality or level of service rather than offering the same level of service for less money. Sometimes return on investment has been increased by charging more for the service. Often cost savings have been made by lowering rates of pay and conditions for workers and making thousands of public sector workers redundant. Full-time permanent employment has been increasingly replaced by part-time and temporary work. In this way private enterprises may seem to be more efficient but the gains to shareholders are at the expense of workers and consumers, who suffer a decline in service levels. Reference: Dexter Whitfield, Making It Public: Evidence and Action against Privatisation. London: Pluto Press, 1983, p. 19. The Thatcher Government initially justified privatisation on efficiency grounds and this struck a chord with many who felt dissatisfied with the performance of the large nationalised industries in Britain. However, this dissatisfaction stemmed in part by inadequate funding of public services, which created longer waiting lists for hospitals and housing. Reference: Sharon Beder, Power Play: The Struggle to Control the World's Electricity, New Press, New York and Melbourne, Scribe, 2003; James Foreman-Peck, Public and Private Ownership of British Industry 1820-1990. Oxford: Clarendon Press, 1994, p. 321; Irwin Stelzer. ‘A Review of Privatization and Regulation Experience in Britain.’ Institute of Economic Affairs. 7 November 2000. However, the efficiency argument was rather weak when examined closely. Experience in the US and the UK, where public and private enterprises supplied electricity contemporaneously, has consistently shown that public enterprises can provide the service more cheaply. There is little evidence that private or public ownership makes a difference in how technically-efficient an organisation is. Even advocates of privatisation admit that the evidence that private ownership, in itself, led to better efficiency was ambiguous. Reference: David Parker. ‘Nationalisation, Privatisation, and Agency Status within Government: Testing for the Importance of Ownership’. In Privatisation and Regulation: A Review of the Issues. ed Peter M Jackson and Catherine M Price. London and New York: Longman. 1994, p. 151; Peter M Jackson and Catherine M Price. ‘Privatisation and Regulation: A Review of the Issues’. In Privatisation and Regulation: A Review of the Issues. ed Peter M. Jackson and Catherine M. Price. London and New York: Longman, 1994, p. 4. The efficiency argument came from theoretical arguments propagated by the think tanks, rather than empirical evidence of the superiority of privatised organisations. Using deductive reasoning rather than evidence, the think tanks argued that without the discipline of market forces, there was no incentive for publicly provided services to be efficient and the needs of consumers of these services could not be transmitted properly. Reference: Julia O'Connell Davidson. ‘Metamorphosis? Privatisation and the Restructuring of Management and Labour’. In Privatisation and Regulation: A Review of the Issues. ed Peter M Jackson and Catherine M Price. London and New York: Longman. 1994, p. 170; Steve Thomas. ‘The Privatization of the Electricity Supply Industry’. In The British Electricity Experiment. ed John Surrey. London: Earthscan Publications. 1996, p. 43..
Government departments were "characterised by their critics as bureaucratic, inflexible, inefficient and unresponsive to customer demands". They were portrayed as hindering innovation and protecting outdated practices. The CPS estimated that electricity in the UK was costing 20 percent more than it should in 1987 because of bureaucratic inefficiencies. Reference: Steve Thomas. ‘The Privatization of the Electricity Supply Industry’. In The British Electricity Experiment. ed John Surrey. London: Earthscan Publications. 1996, p. 43. On the basis of such arguments the Thatcher government sought to “move decision-making for the productive sector of the economy from public to private hands”. It claimed that private ownership would ensure that there were better incentives to minimise costs, provide better management and get employees to work harder.It argued this would occur even without market competition. Reference: Peter M Jackson and Catherine M Price. ‘Privatisation and Regulation: A Review of the Issues’. In Privatisation and Regulation: A Review of the Issues. ed Peter M. Jackson and Catherine M. Price. London and New York: Longman, 1994, p. 24. Some privatised enterprises were already highly efficient years before they were sold off. For example British Gas was studied by Heloitte, Haskins and Sells and found to be performing at a level that "any commercial organisation could be proud of". It was nevertheless sold off in 1986. Reference: Quoted in Jane Roberts, David Elliott and Trevor Houghton. Privatising Electricity: The Politics of Power. London and New York: Belhaven Press. 1991, p. 65. The goal of economic efficiency was a cover for other more political and ideological goals. One such goal was to lower electricity costs by subordinating social objectives, including equity and environmental goals, to economic objectives, particularly prices to industry. Even security of supply became a secondary goal as a leaked draft speech of the managing director-designate of one of the newly formed generating companies demonstrated: “Our task will not be to keep the lights on whatever the cost. It will probably pay us never to over-stress our plant”. Reference: Peter M Jackson and Catherine M Price. ‘Privatisation and Regulation: A Review of the Issues’. In Privatisation and Regulation: A Review of the Issues. ed Peter M. Jackson and Catherine M. Price. London and New York: Longman, 1994, p. 11; Dexter Whitfield, Making It Public: Evidence and Action against Privatisation. London: Pluto Press, 1983, p. 37. Improvements in economic efficiency in public services were achieved prior to privatisation, by narrowing their goals to purely commercial ones and introducing tighter financial controls. This was done to ensure the enterprises were more attractive to buyers and would sell for higher prices but it showed that such enterprises could be good financial performers and ‘economically efficient’ whilst still under government control, given a willingness to subordinate social goals to commercial ones. For example, British Airways (BA) was prepared for privatisation by cutting the workforce from 58,000 to 35,000 and eliminating routes. Reference: James Foreman-Peck, Public and Private Ownership of British Industry 1820-1990. Oxford: Clarendon Press, 1994, p. 323. In fact efficiency improvements in state-owned network industries began under the stimulus of impending privatization and were largely attributable to the clarification and narrowing of enterprise objectives. Labour productivity in industries still nationalized at the end of the 1980s grew faster than manufacturing industry through that decade, at an average of 4.4 per cent per annum compared with 4.1 per cent. If the enterprises could be made more economically efficient without privatisation, economic efficiency could not have been the underlying reason for selling off government enterprises. Reference: Cited in Access Economics. ‘Impact on Victoria of the Privatisation of the State's Electricity and Gas Assets.’ Canberra: Acess Economics. June 2001, p. 10. Reference: Access Economics. ‘Impact on Victoria of the Privatisation of the State's Electricity and Gas Assets.’ Canberra: Acess Economics. June 2001, p. 14. Reference: Tony Daniels. ‘Benchmarking and Microeconomic Reform in Major Infrastructural Services’. In Managing Microeconomic Reform. ed Brian Galligan, Bob Lim and Kim Lovegrove. Canberra: Federalism Research Centre, ANU. 1993, p. 61. It is obvious that efficiency gains in these enterprises will mean that they will not only reduce their call on the nation’s capital and human resources but also help to improve the international competitiveness of Australian business and industry. The BCA argued that government enterprises were inefficient and their services costly because they were often not subject to competition and seldom subject to commercial pressures. Many businesses also resented the commitment of government enterprises to social ends, particularly equity, and whilst they appreciated cross-subsidies that benefited business they were opposed to those that helped disadvantaged and rural residents. They also resented the payment of dividends to government. Reference: Cited in Karl Miller. ‘The Truth About Privatisation.' Green Left Weekly, 1995, p. 6 and ‘Independent Inquiry Recommends Halt to Electricity Privatization.' Frontline September, 1995, p. 4. In contrast an Electricity Supply Association study of 1000 utilities around the world found that SECV was in the top ten for efficiency of resource use and that it was also highly efficient in terms of technical efficiency of distribution. And a study by London Economics in 1994 found SECV’s resource efficiency compared favourably with best practice utilities worldwide. Reference: Carl D. Thompson, Confessions of the Power Trust, New York, E. P. Dutton & Co., 1932, pp. 159-77, 441. In the US, through a century of public and private provision of electricity, public enterprises consistently offered cheaper electricity to householders and it was federal government schemes that extended the service in rural areas, when private companies failed to do so. Any efficiencies achieved by private companies were countered by their need to raise rates to cover high levels of profit and their practice of using residential rates to subsidise larger industrial customers. What is more Canadian householders who had access to a publicly owned system of electricity paid a third the cost American householders paid. Reference: Sarah Disbrow, ‘Sitting on an Electric Fence: The Looming Threat to Nebraska Public Power’, Nebraskans for Peace, 2001; Merrill Goozner, ‘Free Market Shock’, The American Prospect, 27 August, 2001; ‘2005-06 Annual Directory and Statistical Report’, American Public Power Association 2005. The situation continues in the 21st century. Publicly owned utilities have kept rates 10 to 40 per cent below neighbouring privately owned utilities. Nebraska, the only state with all electricity supplied by publicly-owned utilities, has some of the cheapest rates in the US.Nationwide the residential rates charged by publicly owned utilities are still some 10 per cent less on average than those charged by private utilities and the commercial rates are 7 per cent less. There is no point in achieving better efficiency if it does not lead to lower prices and better service for consumers. Productive efficiency, for example, means using the least amount of resources to produce a specific amount of goods and/or services, but if all the benefit from using less resources translates into extra profit, then consumers do not benefit. Competition is supposed to prevent this happening, but if there are a few dominant players as is the case in the privatised electricity markets, those players can agree, either explicitly or by understanding, to keep prices high so consumers do not benefit. Reference: 'Energy Reform: The way forward for Australia', Energy Reform Implementation Group, 2007, pp. 4, 19. Reference: Quoted in Sharon Beder, ‘A World Gone MaD: Marketisation and Deregulation of Electricity’, Arena Magazine 81, February/March 2006, pp. 22-23. For Ulrik Stridbaek, Senior Policy Advisor with the International Energy Agency (IEA), the ‘price of electricity to the final consumer is rarely a good measure’ of how well an electricity market is performing. High prices are necessary to encourage investment and therefore competition, to ensure efficiency. In this free market logic, promoted by almost all the international financial institutions and policy bodies, competition is the cornerstone of a performing market because it delivers efficiency. Yet the idea that efficiency is supposed to be a means to lower the price of electricity to consumers seems to have been lost. In the distorted logic of market adherents, efficiency can lead to more expensive electricity and this is excused because consumers can choose where to buy the more expensive electricity.